Would you like to take your business to the next level? Fill the survey now to see if you are eligible for the Turbo Charge Your Profits Coaching Session. It is totally FREE. 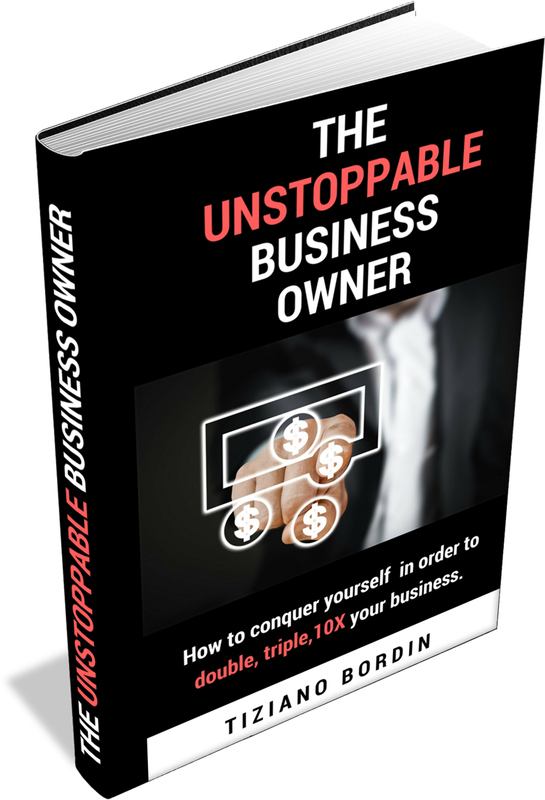 Double, Triple or 10X your business starting today! Turbo Charge Your Profits Coaching Session. Double, Triple or 10X your business and become an Ultra High Performer starting today! Read on to learn the 5 keys to explosive business growth. Apply these success secrets in your business and watch your profits soar. Read on to learn the 5 secrets for turning prospects into buyers. Apply these success secrets, and watch your income soar. I worked with many business owners and key executives and helped them in deep transformational process that had contributed dramatically to the bottom line. Become an Ultra High Performer starting today! "If I've found a life balance, I owe it to him. His lively intelligence, his calm manner, his sensibility and his preparation in the field, combined with a keen practical sense and not just theoretical, his thousands skills and knowledge make Tiziano an Executive Coach of exceptional value." "Tiziano helped me solve my life and business problems with skill and experience, when I had doubts about the important choices Tiziano always gave me support, necessary comfort, knowledge and helped me with brilliant strategies. He is very patient, inspirational, has a great vision and perspective." "Tiziano has developed a powerful tool of revolutionary change that affects the unconscious beliefs by changing the perception of our experience. It helped me in my daily life and contribute dramatically to the bottom line. He is an outstanding business coach." Do you want to get an epic offer on my services? Fill the form and i will contact you back!